Almost 14,000 people have so far signed a petition urging the Dutch government not to make its decision to limit the 30% ruling for international workers retroactive, after the surprise decision was announced last month. New Facebook groups Screwed Expats and International Professionals against Retroactive Ruling have also launched a fund-raising campaign to raise at least €10,000 to fight the government’s decision, in the courts if necessary. Last month tax minister Menno Snel said the ruling, which allows some 60,000 expats and Dutch nationals who have been away for more than 10 years to reduce their tax bills, will only be claimable for five years from 2019, and that the change will be applied to people who are already receiving the tax break. 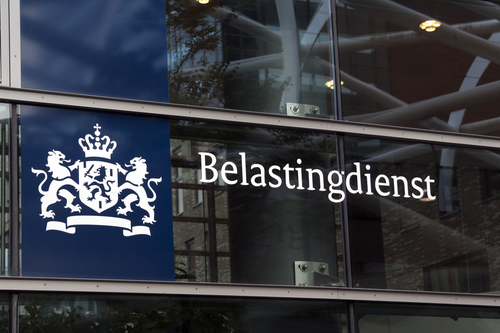 The finance ministry has also confirmed to DutchNews.nl that there will be no period of transition for current claimants. The change to the regulations, which will be formally announced when the government presents its 2019 spending plans in September, was first mentioned in last year’s coalition agreement. Nevertheless, the decision to cut the entitlement of existing claimants has generated a wave of concern among expats and companies which employ international workers. Joost van Benthum, a tax lawyer and senior manager at law firm AKD, says he has been contacted by several corporate clients concerned about the implications, particularly the lack of a transition agreement for employees currently benefiting from the 30% ruling. ‘I am sure some people will start legal proceedings in order to obtain confirmation whether the changes are in line with Dutch and European law,’ he told DutchNews.nl. The change will have considerable financial implications for international staff who are able to claim the ruling, which only benefits expats who meet strict income requirements and lived at least 150 km from a Dutch border before moving here. According to tax advisor Lennart Suurmond, the change will mean someone earning €60,000 a year will have to pay around €8,000 more a year in tax. Henk Jansen, of mortgage advisory group Expat Mortgages, said he thinks the change will make the Netherlands less attractive to internationals and that he has been contacted by dozens of clients worried about how they are going to pay for their homes. ‘I think it’s ridiculous to “punish” existing beneficiaries by deducting three years from the eights years they had been led to expect,’ he said. José de Boer, a financial advisor who specialises in helping expats with their financial planning, said she works with people who have based their mortgages and all their financial planning on getting the 30% ruling for eight years. You can also comment directly on this article in the section below.